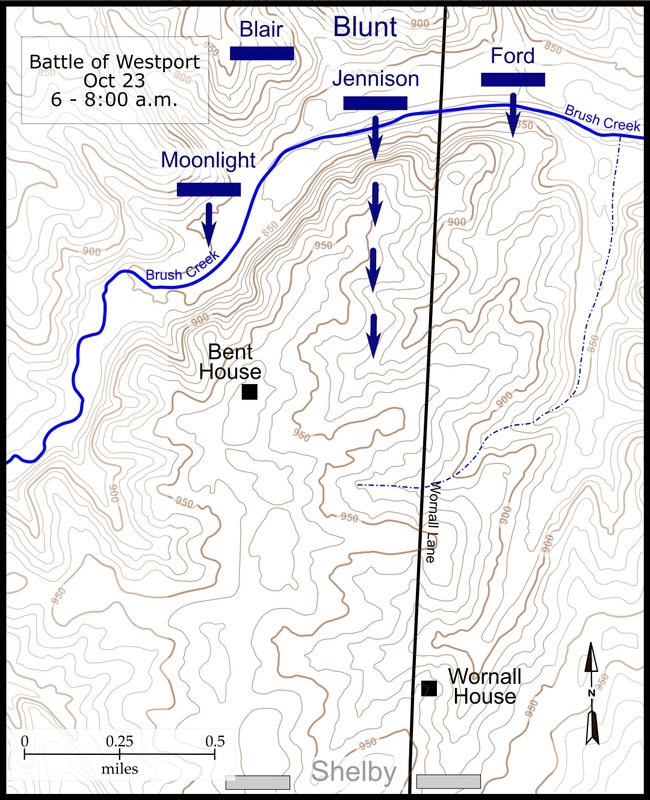 This tour stop places you near the location where Col. Charles R. Jennison led the 1st Brigade across Brush Creek as they moved south to engage the enemy. 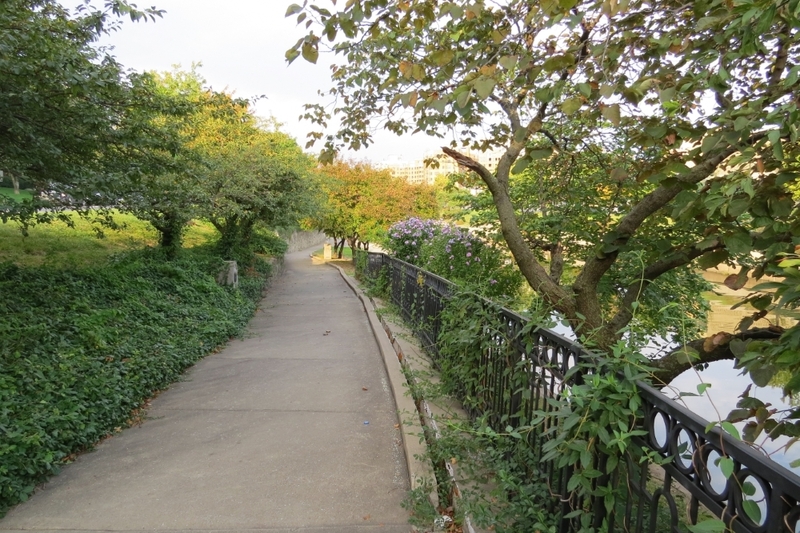 View looking west along south side of Brush Creek. View of tour stop along south side of Brush Creek. 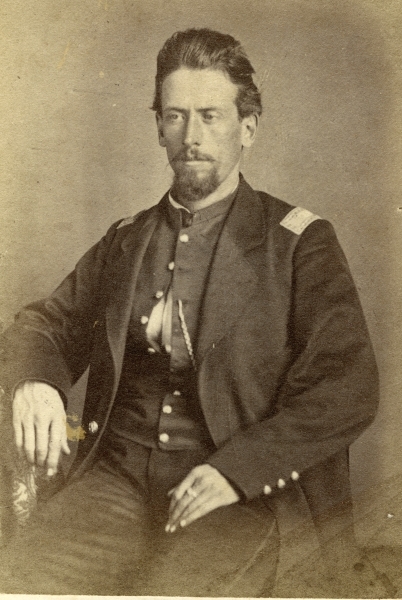 Col. Charles R. Jennison (Wilson’s Creek National Battlefield WICR 31691). 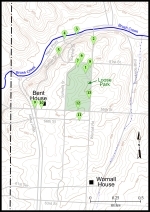 Map showing the Battle of Westport October 23, 6-8 a.m. Click on thumbnail to load high resolution version of map. 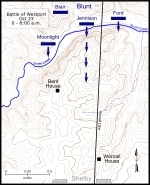 Map showing the Battle of Westport walking tour stops. 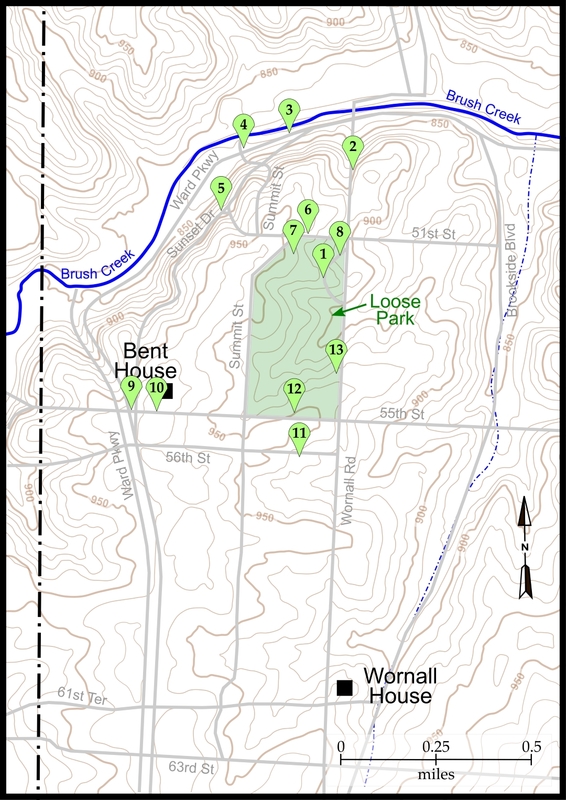 Click on thumbnail to load high resolution version of map.